Here's a 3-book series free on kindle for today only. It's an original fairy tale series about nine adopted princess sisters. Each book is centered around one different sister. And also a book of short stories free for today, on kindle also. Fast paced, mystery, clean, original, I'd compare it to Sherlock Holmes, except modern, African culture, and Christian. Oh, and Check out my review :) of this book! I got to beta read this before it first came out, and absolutely loved it! I was glued to it like crazy! Let me know what you think about these awesome books!!!!! It's one of those weird things I still haven't figured out, but hope to make totally clear to you by the end of this post. Or maybe just my life. In that case you might not learn anything at all about life in general - except sleep, and maybe death. I mean, parts of it (life) are starting to make sense. Why was it when I was little I dreaded sleep? And when I got older I started to love it, but still avoided it? And now, why is it that it seems I live for the time I can sleep? The thing I use to hate and avoid I now strive for. The reason children hate sleep is because they just "woke" up and are very confused. They do not know if this place called Earth is really Heaven or just something very much like it. And since it (life) is so good why sleep? As you get slightly older life is still "heaven" but you have also learned to appreciate resting and sleep - yet avoid it. Join the writing prompt at Miss Melody's blog!!! "With great destiny comes great loneliness." It was a joke. But in an ironic way what I was saying felt like reality. Like a self-inflicted curse. "You can't be serious, dear." Aunt Cheri said. "You need to think of yourself and your future." "Giving up your life is not the only solution! Think this through seriously." I cried inwardly as I laughed to her face. "When have I never been serious about what I do?" She just have me a look that almost seemed to say, "One of the many things that you need to change about yourself." "It's not like I could just leave them!? Who else would care for them?" She surely wasn't going to volunteer. Aunt Cheri didn't try to persuade me more. Just like all of the other relatives and friends, she left with out offering any help towards myself or siblings. Here I was, almost 23. I had had a life. Outfit posts at A Pinch Of Classy! I was asked to start posting an outfit/ fashion post every Saturday at this blog A Pinch Of Classy. So, if you'd like to check it out, be sure to head over! Here are today's post and last week's post. I mean how many people are crazy enough to dress this way - on a a normal basis, and in public? I am rather weird in my tastes. I like wild, comfy, pretty, easy, crazy, fancy, practical all wrapped in one. - Those are some of my favorite words, too ;). Such as this new thing with my hair ( I've been doing it about 6 months now ). I first did it in this picture - wanting something unique and pretty for a girls' party I was going to, I suddenly thought of braiding a ribbon into my hair. A close friend, Esther helped me! ( Never knowing how crazy I'd become weeks later ). Words: Finding The Right Color and Their Importance in Our Lives To Show a Beautiful, Dignifying Meaning. So, just thought you might all like to see it also! There are a few slang words that are accepted in our modern-day society as being good. I want to discuss two of the main ones OMG ( Oh my gosh or God, Jesus, lord, etc ) and darn ( dang ). (And all other crude slang words). And I want to present them from three different perspectives that I have categoirized under my own titles ( not necessarily accurate titles :b ): Mainstream Christian, Conservative Christian and Secular. As Christians we try to live good lives. Most of us would agree that blasphemy is one of the worst sins we can commit against God. Hey, guys!!!! Today my blog is a part of the Water Princess, Fire Prince blog tour. As you will soon see, Water Princess, Fire Prince is an original fairytale novel written by a young Christian woman, Kendra Ardnek. I am having an interview with the author herself!!! And then some stuff about the book :D So, enjoy! And check out this awesome story! 1. 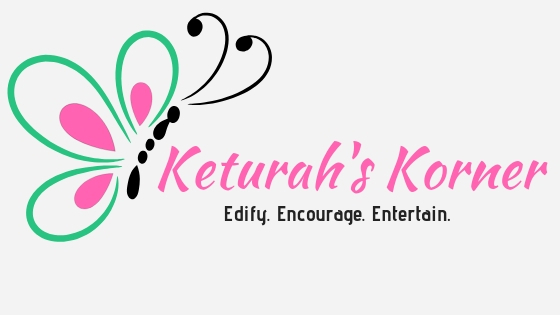 Welcome, Kendra, to Keturah's Korner! Thank you so much for joining me today :). 2. Could you tell us a little about yourself? Um, well, I'm human, have lived just over twenty years in Earth's timestream, and have been a Christian for most of that, and have been homeschooled for almost as long. My favorite color is purple, I spend most of my time working with words and I make the world's best spaghetti. 3. When did you know that you wanted to be an author?